The Sky Room at the Long Beach Breakers Hotel closed down for four days in May after a norovirus outbreak, according to the LA Times. The restaurant closed on May 22 through the 25th for cleaning. About 21 people were sickened in an outbreak that occurred between May 1 and May 9, 2015. Symptoms included nausea, watery diarrhea, headache, weakness, chills, abdominal pain, and a low fever. Three of the patients had lab-confirmed norovirus illnesses. The rest are considered “probable” cases. The restaurant followed CDC guidelines to clean, including steam cleaning furniture, the elevator, fabrics, and equipment. The sanitation process was repeated several times. 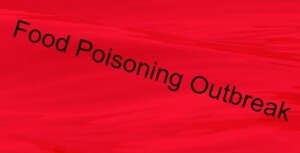 No illnesses have been reported since May 9. Norovirus is a highly contagious virus that is spread through person to person contact,through contaminated food and drink, and by touching contaminated surfaces. It is more common in the winter months when more people are indoors together. The specific origin of the virus could not be found. Those who were sickened consumed various foods and drink and no common food or drink was pinpointed.